Dirt, debris, branches, and grime build up on your roof. If you don’t clean the surface, the roof will deteriorate faster than usual. You may need to clean it several times during the winter months, because of the amount of snow and ice that develops. Intelligent Design can clear out all of the debris that keeps water from adequately draining off the roof. We recommend getting your roof inspected at least one to two times per year. Our roofing contractors offer commercial roofing inspections. We can assess every component of your roof to ensure that it is in excellent condition all year long. An examination will keep small issues from turning into costly repairs or roofing replacement. Mold can creep up on your roof without you even knowing it. By the time you discover it in your building, it can spread throughout the roof, attic, and through the walls. Mold growth is a clear indication that moisture is somewhere on or inside the roof. There may be a leak somewhere along the surface. We will repair the leaks and seal the roof so that water can no longer get in. Make sure that all HVAC equipment is mounted correctly to the roofing system. 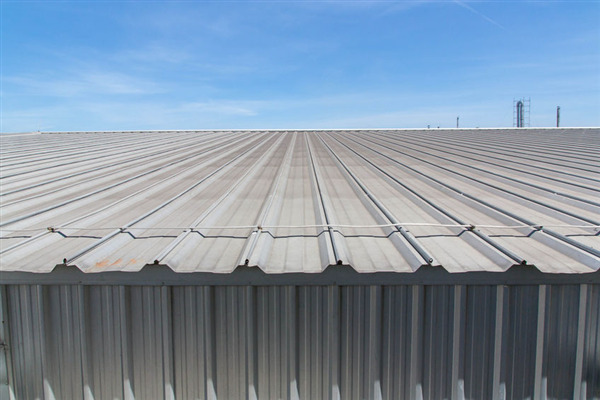 If you hire an HVAC technician to perform maintenance on the unit, they need to have a good understanding of the type of roofing system we installed in your building. All other equipment needs to be attached and sealed so that water can’t get inside the building. If you see something wrong with your roof, you should contact us immediately to come and look at it. If you don’t take care of the problem, it will only magnify and turn into a more expensive and bigger repair. Remember, roof problems just get worse, and they become more costly the longer you wait. No matter what problem your roof, we can fix it. Contact us immediately and let us make the necessary roof repairs. Intelligent Design offers residential and commercial repairs for property owners in Minneapolis and St. Paul, Minnesota. Our services include complete roof restoration, ongoing preventative maintenance, and full roofing system replacement. Whether you are undergoing a brand new building project or need to replace that old roof in your building, we can help you every step of the way. Call us for a free estimate at 763-315-0745, or you can message us on our contact page.